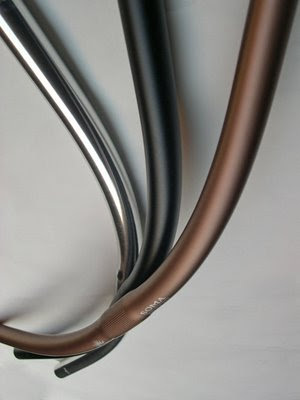 The Noah's Arc Bars now come in colors. We introduced a shotpeen black earlier this year. Now we have a shiny gold, a satin pink and satin brown. These are anodized, not powdercoated. 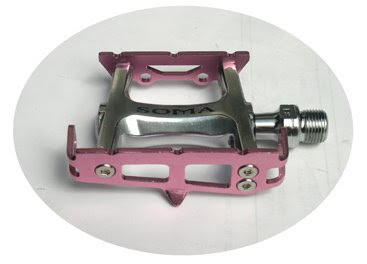 The pink and gold of course will perfectly match with our new Hellyer Pedal colors (in red, blue, gold, pink). 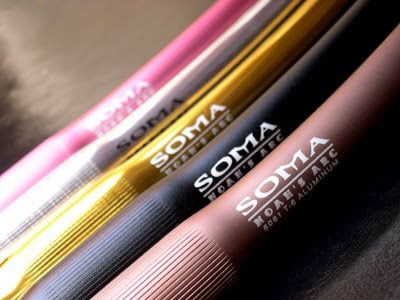 When we began Soma back in 2001, someone mentioned there was a Japanese bike brand called "Soma" back in the 70's. For a while the only web presence was a small blurb on Sheldon Brown's site. It was not until earlier this year, I stumbled upon these pictures on Velospace (submitted by wxm) that I actually laid eyes on one. It feels kind of like hearing about Bigfoot for years and then finally catching a glimpse of one. This early 80's beauty was known as the 'Cosmopolitan'. 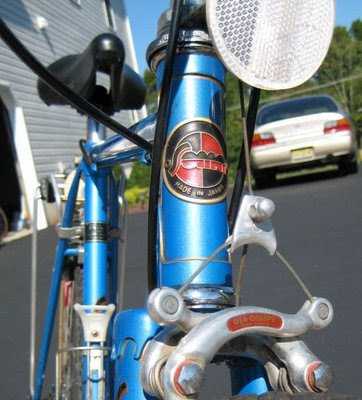 These are still the best pictures I've seen of a vintage Soma. 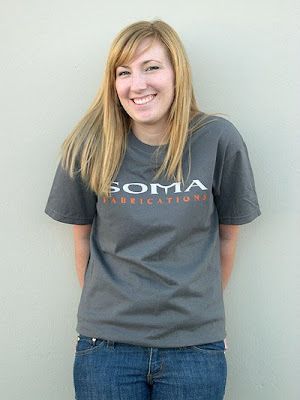 Here a finally some new tees to help you express Soma love. The charcoal is a men's tee with a simple logo. 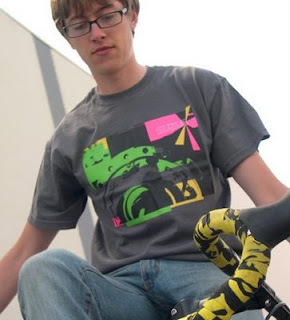 The heather green is a soft ringspun women's tee and has a large S-O-M-A with a hot pink bike inside the 'O'. Both are available at some Soma dealers and on the Soma Fab Online Shop. 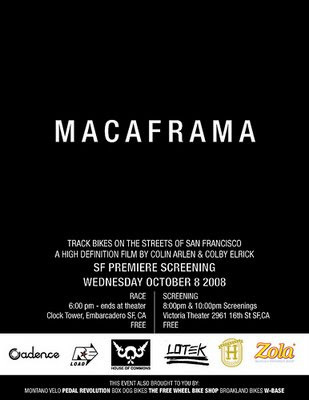 The long awaited Macaframa premiere is this Wednesday at the Victoria Theater. The evening begins with a race at the Ferry Building Clock Tower at 6pm, which winds down to the theater. The event is free, thanks to the sponsors. We did not sponsor officially, but are throwing down a few goodies through Pedal Revolution. C'mon down. October Additions to Soma Fab Shop - Suzue! 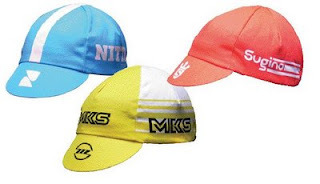 If you have been to the shop lately, you already know we have been diversifying our apparel selection lately... adding some interesting bits from our favorite Japanese brands... Nitto, MKS, and Sugino. But we aren't done yet! 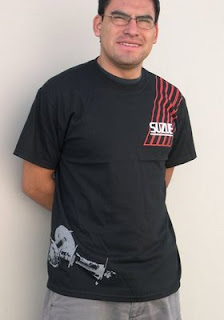 Just added last Friday were tees from Suzue (the hub manufacturer) and caps are not far off. 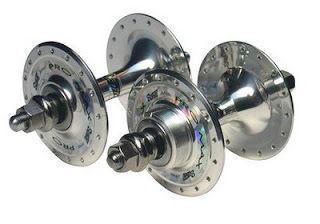 Speaking of Suzue we have confirmation that we are getting some of their Pro Max track hubs in this week some time. We have been waiting quite a while for these. These are the SB versions that feature silky-smooth Japanese cartridge bearings and an almost chrome-like polish. These are not "new old stock". These are new production.